Gin Zarbo’s mother first introduced her and her twin, Ban, to anime and manga as young girls. Even then, the twins aspired to one day become manga creators. As we know, you and your sister grew up with manga and anime, but what led you to create your own manga and eventually to self-publish your work? I used to draw several short stories ranging anywhere from 20-50 pages, but many of them I could not complete. Then came my first real amateur manga, Cope Soul. When I uploaded these stories to the German anime community Animexx, I learned so much and was able to constantly improve through the feedback from readers. In other words, I largely have my fans to thank that I have come this far. I have been able to acquire many tricks myself, but there are still so many things I have to learn. Do you still have the time to work on it or do you dedicate yourself to Undead Messiah? I'd love to continue working on Cope Soul, but Undead Messiah takes up most of the time. I have been trying to increase my speed for a long time, so I might be able to work on Cope Soul at the same time. I sometimes miss my Cope Soul characters and would like to add their stories, but that doesn't mean I don't have a lot of fun now with Undead Messiah. There are different reasons why the undead are so interesting. In my family I grew up with horror stories. I've always liked eerie myths and monsters like vampires, werewolves, ghosts and zombies. However, due to the fact that a zombie outbreak could trigger catastrophes all over the world, I find them most fascinating because they can spread rapidly compared to other monsters, thereby giving them the power to wipe out all mankind. Undead Messiah has everything I love about horror, but I wanted to dedicate myself to a more universal topic with my project. A topic that everyone can relate to and has an opinion on, I’m sure. You’ll find out more about that in volume 2 of Undead Messiah. As a German manga creator, you must also read manga by German artists. Any titles you would recommend to your readers here in the states? I have some favorites, but while the German cartooning scene has grown enormously in recent years and I am incredibly proud of it, we still cannot compete with Japanese manga creators. We are still one or two steps behind, but I believe together we can do it. What about Japanese titles or genres? Any parting thoughts, or zombie manga you would recommend to your fans? There are so many titles that I like, but the part about my favorite genre is easy to answer! I love action and horror, although recently mystery stories have become more and more exciting to me. Sui Ishida's Tokyo Ghoul is still my favorite, but I really like I am Hero by Kengo Hanazawa. 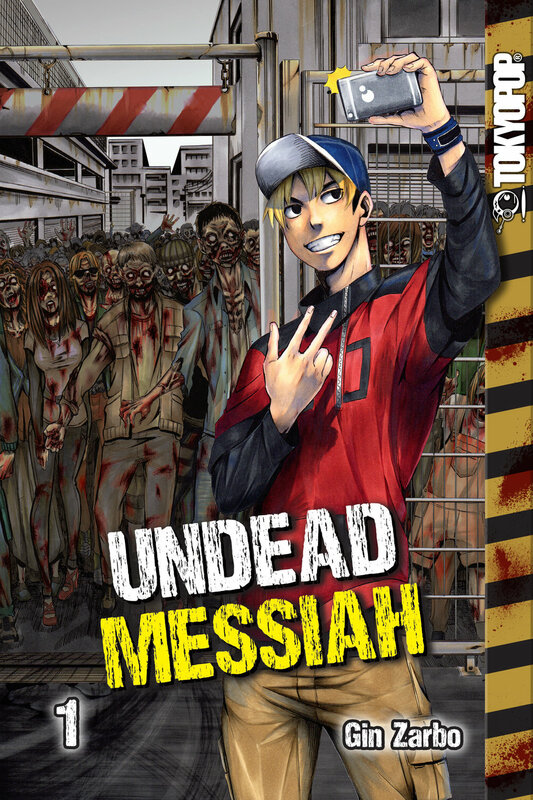 I hope Undead Messiah provides readers with a different kind of zombie story, and I welcome your feedback!